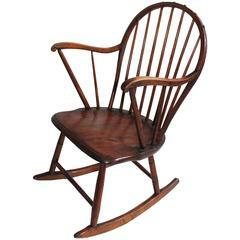 This 18th century New England continuous arm Windsor chair is a spectacular example of early American furniture design. 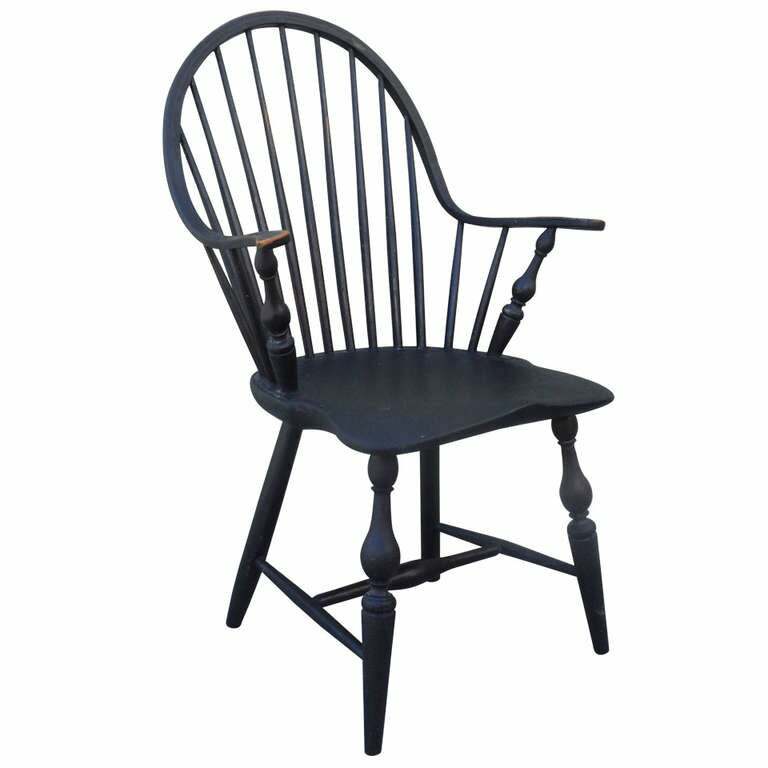 With all original black paint and untouched surface , this chair was constructed from one “continuous” piece of wood that was shaped to form the arms and the back. 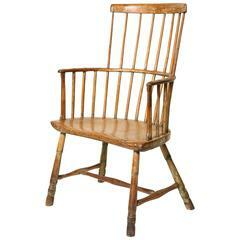 The legs and thirteen spindles show outstanding mortise-and-tenon construction. 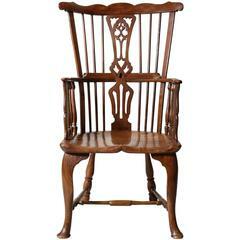 Reproduction of an 18th century oversized butterfly Windsor chair. Amazing black over paint surface and patina to this chair. 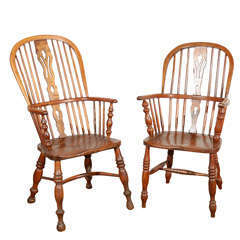 Good 19th century English hoop back Windsor armchair with roundel turned back splat, over shaped seat and standing on turned legs joined by "H" stretcher.